It’s been a tradition now for about 4 years. Once the air gets a crisp bite at night, the sun’s light has a different look as the days become shorter, and spider webs fill the pathways through the forest at my school (I literally look like a member of a LARP group as I walk through with stick in hand waving it around to combat any could-be sticky situations. And that’s Live Action Role Playing for you folks who don’t know- see here), we head to the Carolina mountains to pick a peck (or bushel(s)!) 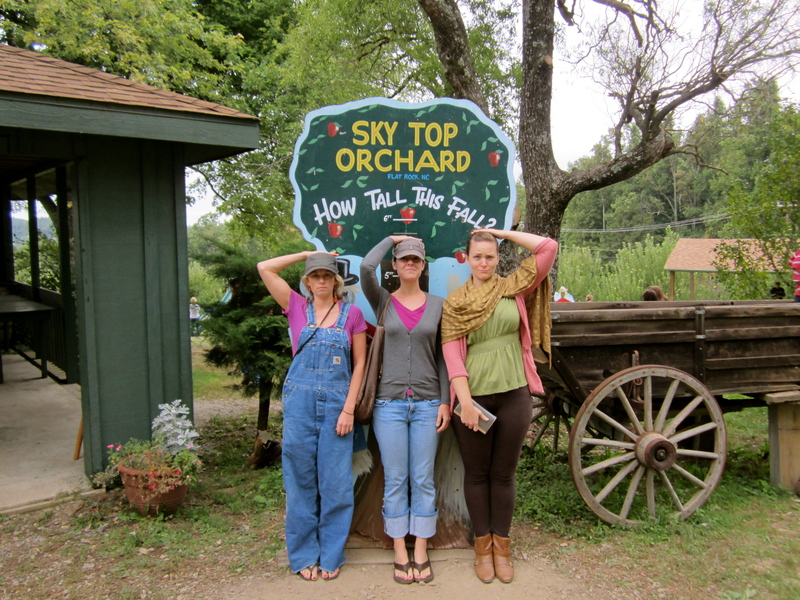 of the freshest apples ever at Sky Top Orchard. How tall this fall?? Did I grow at ALL?!! Notice my chagrin..
4- did I mention eating them on the spot? 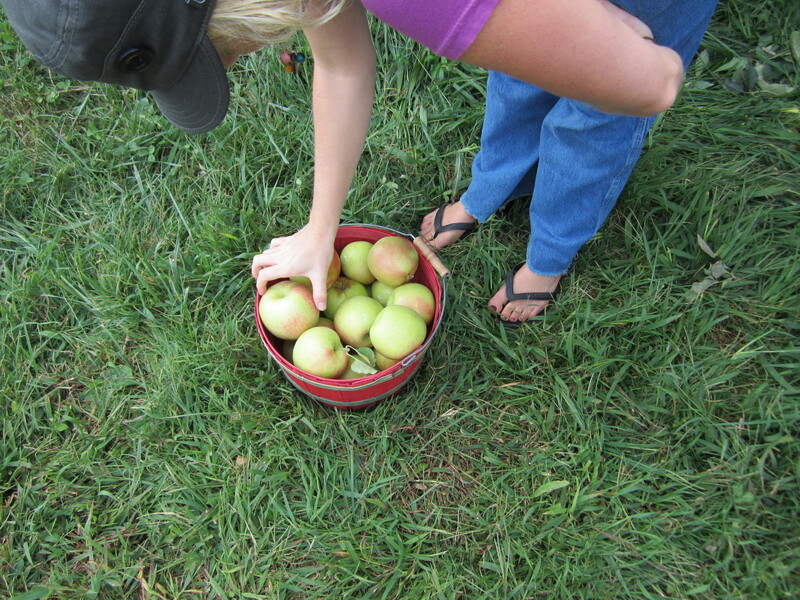 5- enjoying nature’s gifts without the middle man. 6- oh yeah, and eating the delicious, juicy fruit and having the sweet stickiness all over your hands. If you have any good recipes, please send them my way!! This entry was posted on September 20, 2011 by ashleyshoemaker. 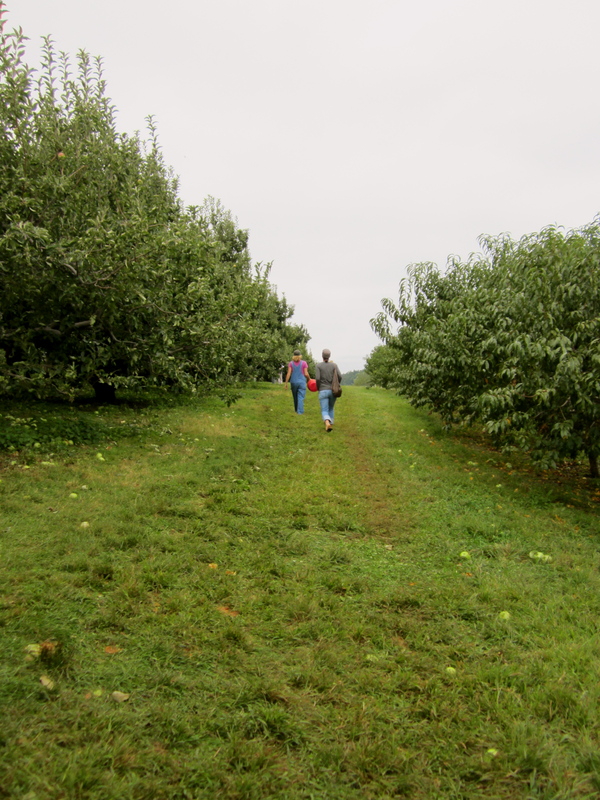 It was filed under Adventures, Baking, Carolina, Food and was tagged with apples, autumn, mountains.